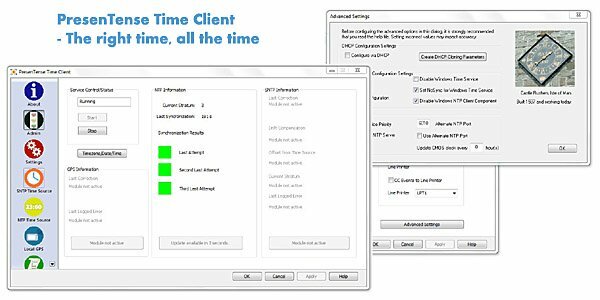 time client, windows time client, time synchronization, synchronize time, accurate network time, DHCP, centralized managementystem clock to a GPS or network time server. Supports e-mail and syslog alarm redundancy and can be centrally managed and configured by LanTime Analyzer. Resume from Sleep or Hibernate as well as NTP timeout detected and service restarts to speed up synchronization. nalyzer. Free Run as required by NENA. Keeps your computer clock accurate within microseconds!